• Columbia US-16, first 12 Meter to win the America's Cup, built in 1958. • Heritage US-23, America's Cup challenger and newest in the fleet, built in 1970. Sails depart from Bowen's Wharf, Newport, RI. Includes 2 tickets aboard a 2 hour sail and 2 Crew Gear items incuding t-shirt, cap or polo shirt. 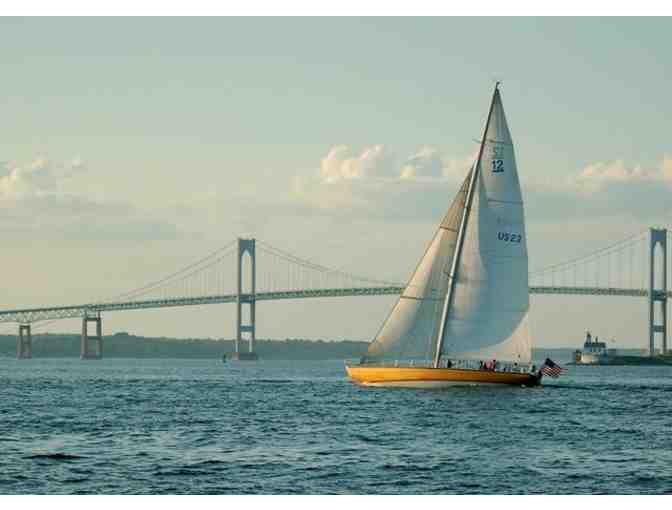 Sails available May 15 -- October 15 in Newport, Rhode Island. Sailing dates and times are subject to availability. Items purchased before July 1, 2018 will be valid until October 15, 2018. After July 1, 2018, valid until October 15, 2019. Sailing dates may be arranged well in advanced but exact time of sail will not be finalized until a week before charter date. Your support matters, so St. Mary High School would like to use your information to keep in touch about things that may matter to you. If you choose to hear from St. Mary High School, we may contact you in the future about our ongoing efforts.